GU4DEC is over! We hope to have all the slides, video and audio footage online soon. GU4DEC will be held from June 16th-18th at Trinity College in Dublin, Ireland. With the luck o' the Irish, we'll see you there in the summer time, talking code over a refreshing pint of Guinness! GUADEC has joined forces with LogOn to bring the successful, pan-European Linux@work to Dublin. Linux@work will be held on GUADEC's User Day, June 18, bringing IT leaders and individual, business and government Linux users together. Robin Rowe of MovieEditor and Linux Movies Group has been added as a keynote speaker on June 16th. He will also speak about CinePaint (formerly FilmGimp) on Linux@work day. The GNOME Foundation are pleased to announce the first set of tutorials to be held at GU4DEC in June. Sign up now to receive an earlybird price on all tutorials. Now is a great time to support the best desktop environment on the planet by becoming a Friend of GNOME or by upping your current Friends level. 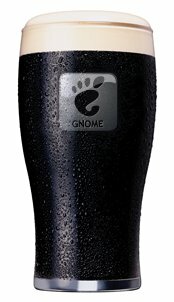 Contribute by joining the Friends of GNOME program. All contributions are tax-deductible in the U.S. and help us continue GU4DEC and our other activities. Thanks to our generous Friends.